Go! Go! 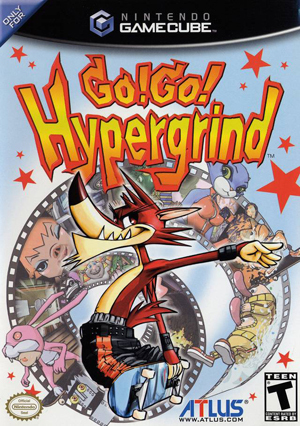 Hypergrind is a skateboarding video game for the Nintendo GameCube that was developed by Poponchi and published by Atlus Co. Animation studio Spümcø of Ren & Stimpy fame contributed character designs and animations to the game. The graph below charts the compatibility with Go! Go! Hypergrind since Dolphin's 2.0 release, listing revisions only where a compatibility change occurred. This page was last edited on 7 January 2018, at 05:06.